Thanks to 900 Blok, you can now rep some serious state pride, even when it comes to décor. I discovered this Chicago based design studio at the last Renegade Craft Fair and ever since I’ve been lusting over their pieces. 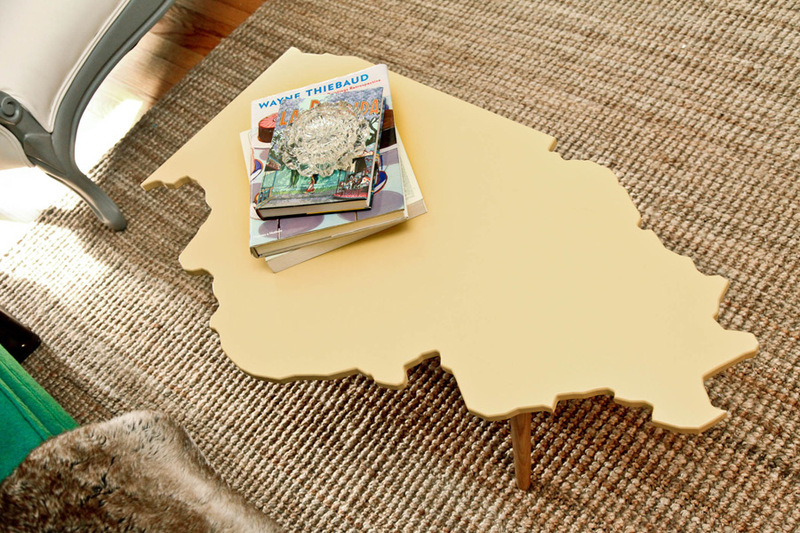 My favorites are their state shaped coffee and side tables, perfect for out-of-towners: to keep a little piece of home, in your home. The state tables are custom made in Hilton Head, South Carolina by owner, Julie Purpura’s team but the design process happens right here in Chi-town. The hand-carved, solid wood tables are custom designed with over 15 different color options, and of course there’s 50 states to choose from, or pick the entire US of A.